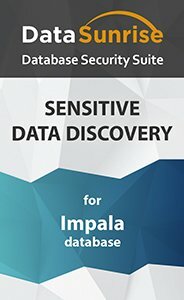 Impala Data Discovery from DataSunrise is a special tool intended for locating of sensitive data across Impala databases. This tool enable companies to have complete visibility into data they have and achieve compliance with national and international sensitive data protection regulations. Impala Data Discovery has built-in search filters using which database owners and admins can retrieve any information in their database. Moreover, the custom filters can be created as well. Databases can be small and large, but sometimes database owners and admins what kind of information their databases contain. And it’s impossible to protect something you cannot see or don’t know you have it. Impala Data Discovery from DataSunrise is the tool specifically designed to automate detection and managing of sensitive data in an Impala database. When we say “sensitive data” we don’t only mean personally identifiable information (PII) which can be a name, home address, passport number, phone number, driver’s license, etc. Sensitive data covers any information on a person that can be used to trace back to an individual within the system. Critical business data can also be sensitive data as loss or breach of this information can damage the company image, business and reputation. That is why this information shall be protected appropriately. That is why to set the required level of data safety it’s strongly recommended to pin down the location of sensitive data and determine which categories it falls into. Periodic Data Discovery can be adjusted too. This tool helps to discover newly added data. Time intervals at which this should happen can be defined too. Impala Sensitive Data Discovery is a very convenient and user-friendly tool that ensures data visibility across all proprietary Impala databases within a company. Combined with the Audit, Masking and Security tool it ensures the appropriate level of database security.